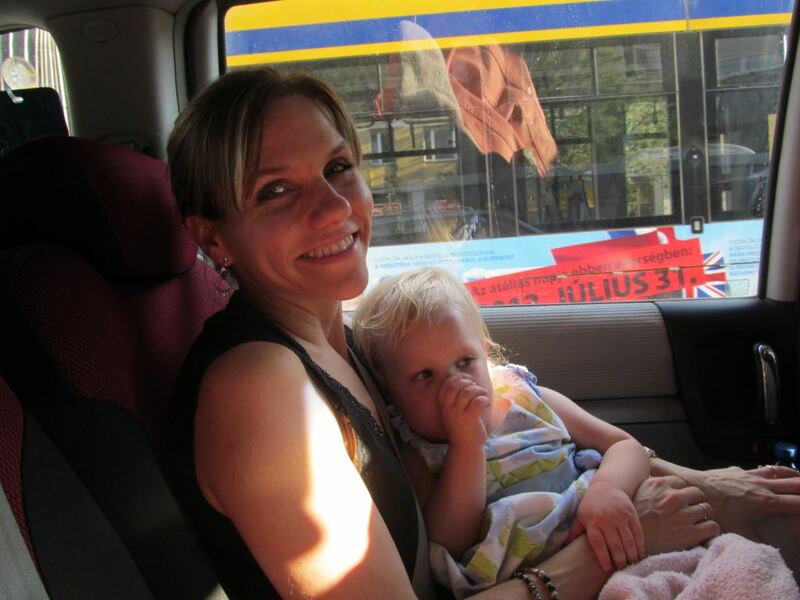 A tired Ariela (and Pamala) in the taxi coming home from the airport after our whirlwind day in London. We had to get Ariela up at 3:30 a.m. in Budapest and we had a very full day of taxis, airplanes, and graduation (including a new nursery for her) but she did so well. This was a definite answer to prayer.